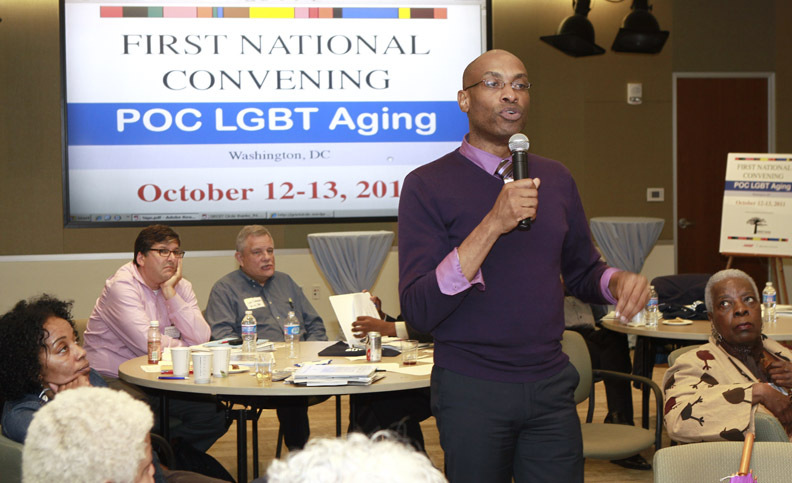 Posted on October 16, 2011, in Discrimination, Elder Advocacy, Equality, Healthy + Happy, Inspire Someone, Mental Health, My Bisexual Lifestyle, My Gay Lifestyle, My Lesbian Lifestyle, My Transgender Lifestyle, My Two-Spirit Lifestyle, Networking, Pride & Politics, Taking the Lead, Uncategorized and tagged AARP, Aging Professionals, Aisha Young, Bryan Epps, Jay Blackwell, Jewelle Gomez, Occupy, POC LGBT, Public Policy, Senior Advocacy, senior citizens, Senior Service America. Bookmark the permalink. Leave a comment.